LAR's BioMonitor is an online BOD analyser for the determination of biochemical oxygen demand (BOD), respiration and toxicity in wastewater. Using BioMonitor, operators can efficiently control their wastewater treatment plant. Adjustment of a constant sludge load by calculating the amount of return sludge using known concentration of influent biological degradable substances. The patented method of the BioMonitor replicates a treatment plant in miniature. Activated sludge from the plant is used to degrade substances in the wastewater. The oxygen used in this process is measured. 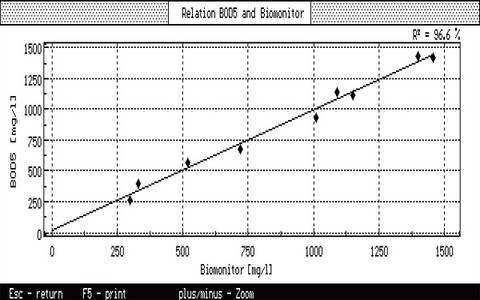 The respiration rate of the micro-organisms in the activated sludge is taken into consideration in order to accurately measure the final BOD figure. Fill in the Application Survey to let us know more details about your monitoring requirements.